The Columbia Museum of Art is established on the triad of preservation, truth and access. 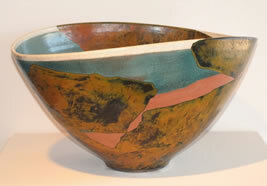 The purpose is to collect and preserve objects. Located in downtown Columbia on the corner of Main and Hampton streets, Columbia Museum of Art showcases the permanent collection galleries of arts which reflect the mission of the museum - European and American fine and decorative arts and design from the late Middle Ages to the present. 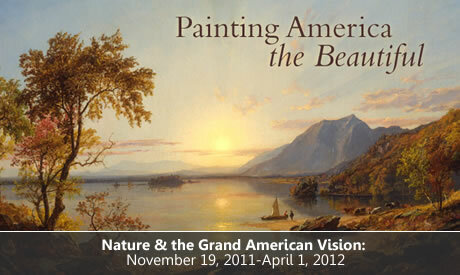 Nature and the Grand American Vision explores the evolution of the Hudson River School through four thematic sections. Within these groupings, we see how Thomas Cole (1801-1848), who is the leading artist associated with the Hudson River School, and is widely credited as being its founder, and his followers visually conveyed powerful ideas and ideals about nature, culture, religion, and history to a fledging Republic, one still searching for a collective national identity. Finlay Park offers couples secluded walking paths, flowing fountains, beautiful waterfalls and quiet ponds. Located at 930 Laurel Street in downtown Columbia. The Garden at Riverbanks Zoo provides 70-acres of unparalleled beauty. Enjoy formal gardens where something blooms each day of the year, or enjoy a riverside woodlands walk, hand in hand. Sesquicentennial State Park is a 1,440 acre park that features a 30-acre lake, perfect for boating! This lake is surrounded by picnic areas and walking trails. Located on US 1, 13 miles northeast of Columbia, 3 miles from I-20, and 1.5 miles from I-77. Experience a sunset on Lake Murray from the bow of the Spirit of Lake Murray! Check their website for public cruise information. 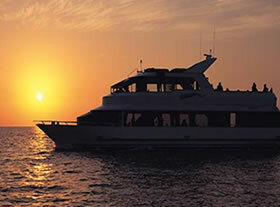 The Spirit of Lake Murray is an 80-foot, steel hulled yacht offering you and your significant other an exquisite way to cruise the waters of Lake Murray in comfort. Call 803-730-3044 for reservations today! The Barusch Silver Collection is on permanent display in the Barusch Silver Gallery at the McKissick Museum. This British silver collection, of the 18th and early 19th century is numbered in excess of 450 pieces, and was assembled in the early 20th century by Bernard Mannes Barusch's wife, Annie Griffen Barusch. A large assortment of silverware, tea caddies, milk jugs, kettles and teapots are on display in the Barusch exhibit.